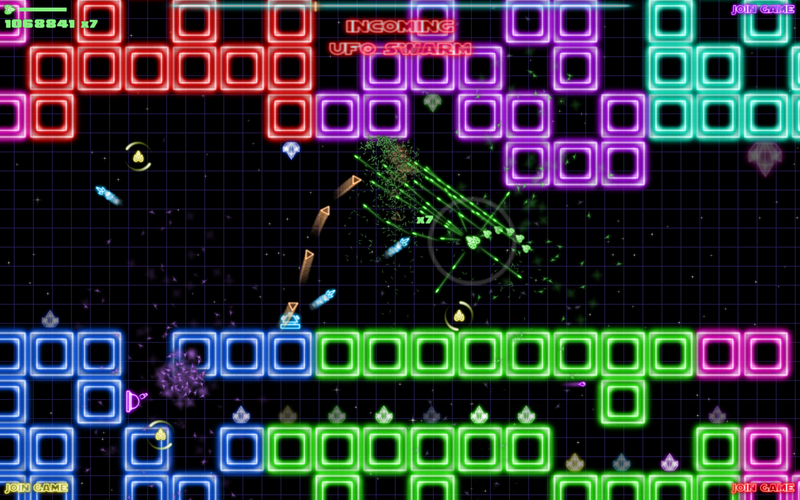 The stages and enemies of Zytron II are composed of bright, colorfully neon-lit geometric shapes and effects. 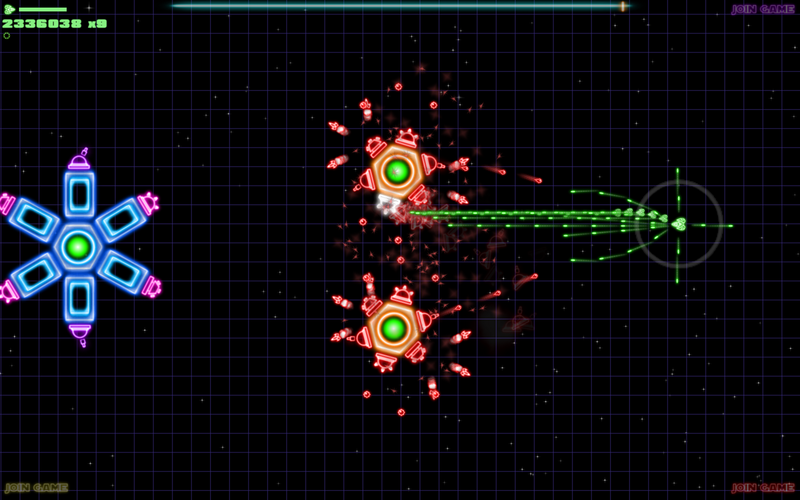 Not only will you have to blast countless flying enemies that approach from every angle, you'll also have to destroy missile-launching turrets, avoid waves of projectiles, squeeze through passages, disable ship-melting laser barriers, and grab firepower and energy boosts. This tight control scheme married to the unique combination of scrolling stages and dual-stick, 360 degree field of fire, produce something much more than the sum of its parts. 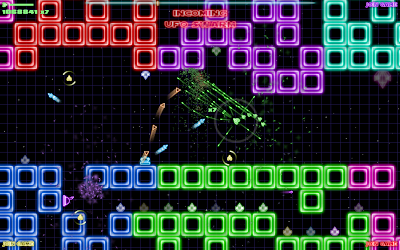 Gameplay is bolstered further by a wide range of achievements and an addictive multiplier system: for every 40 ships you demolish, a score multiplier is added, and for every hit you take, a multiplier is taken away. It isn't a matter of simply surviving each stage - it's a matter or surviving well, and every hit inflicts a sting almost worth than losing a life, causing expletives to fire off almost as fast as enemy bullets. The developer wasn't content to stop there, however. 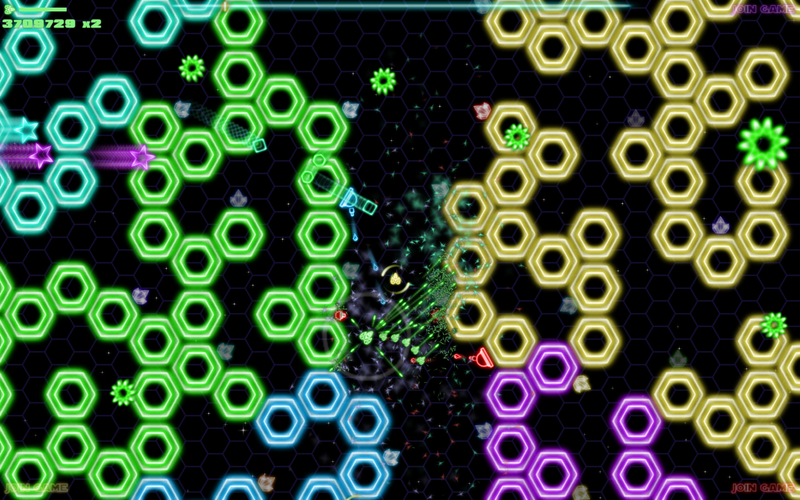 Multiplayer is fully supported in Zytron II, allowing up to three other players to simultaneously join the fray, and even play cooperatively by sharing energy. Top this off with gorgeous, retro-inspired menus reminiscent of the shareware scene of the 90's, a delicious bumping techno soundtrack (also very 90's inspired) as well as satisfying sound effects galore, and I'm sold. I've played many fantastic shooters, and Zytron II is a welcome addition to the pack. In a market crowded with "retro" shooters, Zytron II, with its frenetic and exciting gameplay, scratches an itch that many others somehow miss. This fantastic title can be enjoyed by gamers of all skill levels and I highly recommend it, especially for fans of the genre. 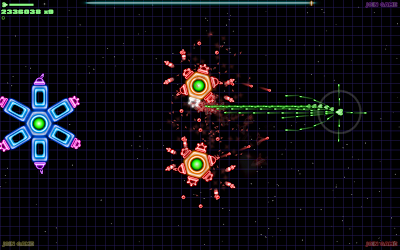 Download the demo/buy the game here (from the Psytronik website).